25 dog poo bags were among the rubbish removed over 14, 15 and 16 March from around (most of) the parish as part of Keep Britain Tidy’s Great British Spring Clean. A very big thank you to volunteers Teresa, David, Karen, Cathy, Sarah, Tess, Steve, Bridget, Sue and Chris who gave up their time to remove 8.5 bags of rubbish from our pavements, verges and hedgerows. It is hard to provide a 100% reliable picture over time on litter patterns here because the territory that the group covers varies each pick as does the number of volunteers, but Love Langton can confidently say that the general trend for litter levels is downwards as more people realise the long term harm litter stacks up for us. So thank you everyone! The Love Langton team is very grateful to Langton Matravers Parish Council and to the National Trust for their ongoing and much appreciated support since 2012. 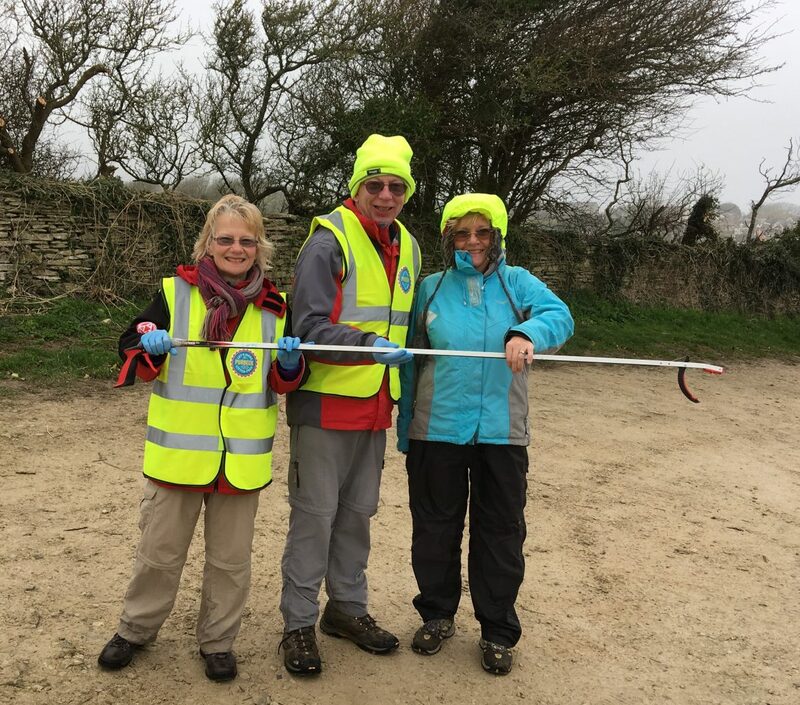 Since 2016, Love have been part of Litter-free Purbeck, an alliance of volunteer litter pickers and campaigners. Its aim is to stop plastic from entering the sea around our narrow peninsula via the water courses here (street drains, ditches, streams and rivers), to help stop the Purbeck environment being polluted by cigarette stubs which leach poisons when wet and carry their plastic fibres to the sea, to deter disease-carrying vermin and generally make the place look nicer for everyone’s enjoyment. To get more involved with Litter-free Purbeck and Love Langton, or if you are a local business that would find a ‘ Let’s Make Purbeck Litter-free ‘ sticker helpful, please email litterfreepurbeck@gmail.com.